So last night, my family and I decided to eat at the Rainier Restaurant and BBQ located on MLK in the Seattle area. Not gonna lie, we mainly tried it because it was recently featured on Anthony Bourdain's: The Layover TV show on the Travel Channel. There menu is kind of hard to follow for newbies..soo if you have Vietnamese friends that know their food or family members...you should consider taking them with you to help you out! 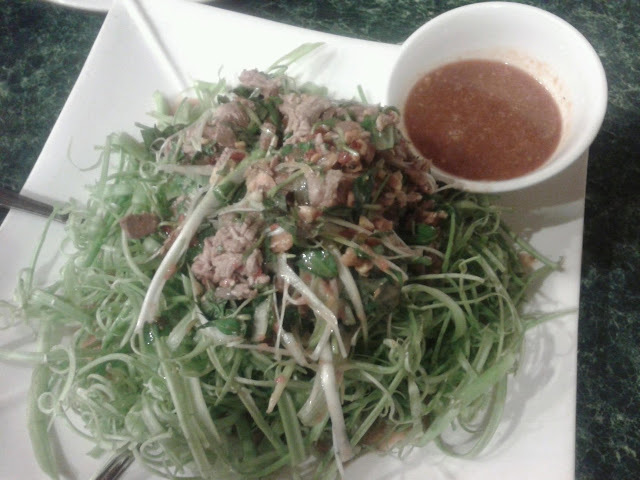 The first thing we tried was the Ong Choy salad. I saw Anthony Bourdain eat this on the show, so my dad wanted to try it too. It cost a lot more than I thought it would for the large size ($18.95) so if you wanted to try it, I suggest getting the small. I know it cost a lot more because of the hand work that goes into this dish. All the Ong Choy (a type of chinese green) is hand shredded. 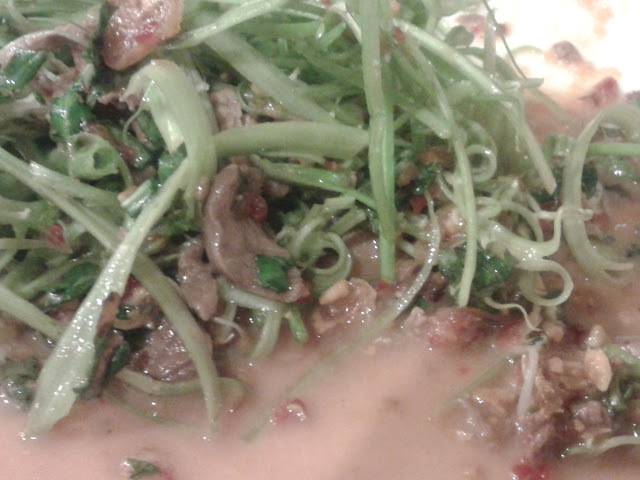 Overall it was a tasty dish, with the salad dressing which was sweet and had a peanuty flavor. The beef on top was also nice and tender and went well with the greens. The next dish we had was another appetizer sort of dish. 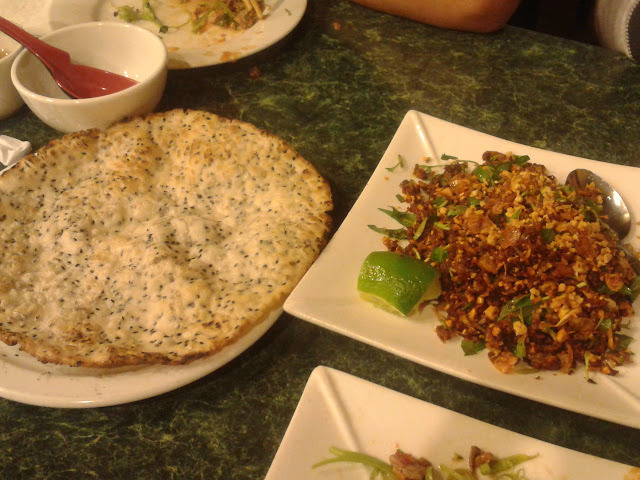 It was a fried onion, fried garlic, friend lemon grass and baby clam dish with a puffed up black sesame tapioca crisp type of cracker. This wasn't from the show and I ordered it because I saw the word baby clams. It was a lot different than I thought it would be but it tasted pretty good. It actually went well with rice too. Its a bit on the drier side so if you were looking for a saucier dish, this isn't it. upclose of the baby clam dish. Next to come out is the friend quails. Now this dish was very bland in my opinion and I have indeed had way better flavored tasting quail than here. 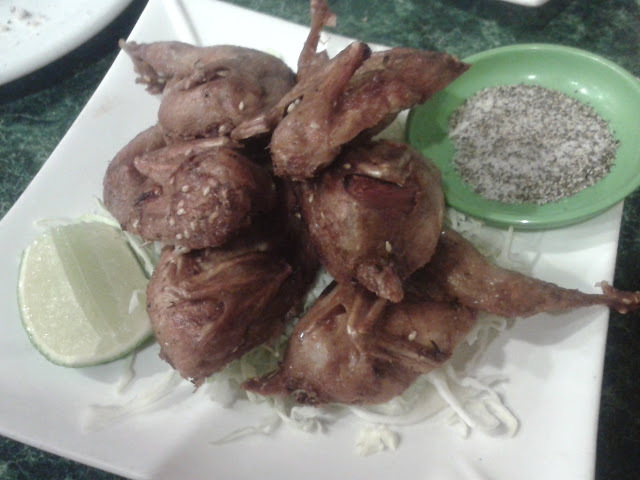 I can see people who do not like the gamey aspect of quail to enjoy this with the lemon and sour salt mixture. But I don't really recommend this one either. This dish however I do recommend! This was also featured on the show I believe. 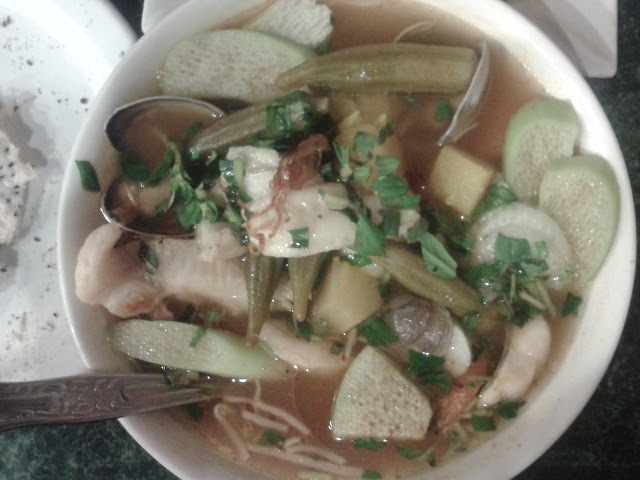 I love the Vietnamese Sweet/Hot/Sour soups and usually try them at every Vietnamese restaurant that has this. Most of them usually only have cat fish and its usually in steaks so it gets a bit annoying to eat because the bones are in the way. However, this one had strips of catfish and other seafood as well such as shrimp, squid, clams and fish balls. 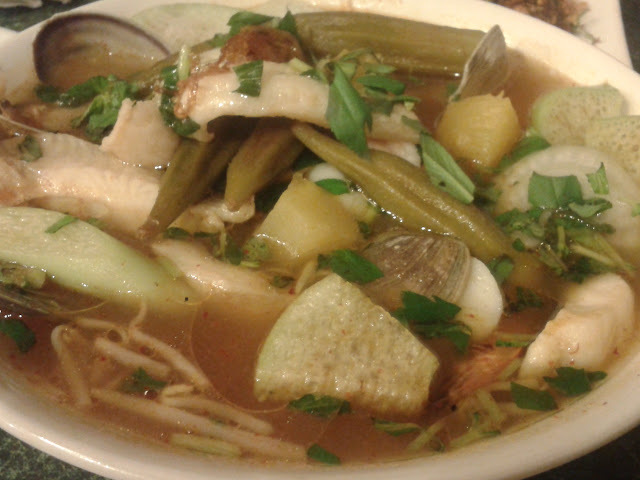 They had the basic vegetables and fruit such as the spongey taro stem (I think thats what it is called), okra, bean sprouts, pineapple and some other ingredients. I will say it was a little sweeter than I have been used to but I don't really mind it. If you're into sweet and sour soups, definietly check this out. 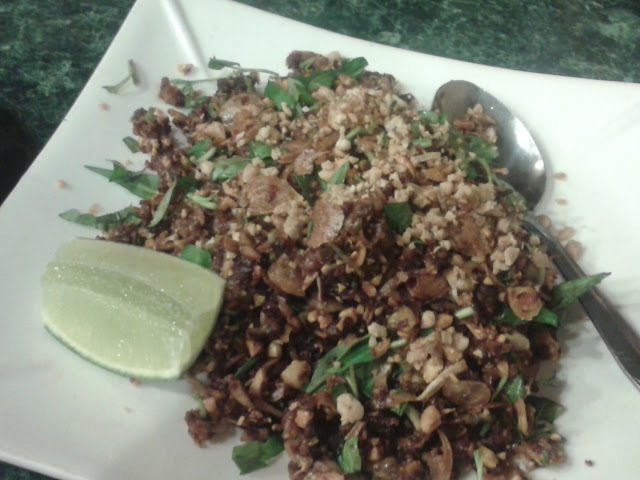 Now for the last dish, my mom kind of ordered it on a whim and was thinking it would be something else. We knew we were getting fish, but not a whole deep fried Pompano with no sauce added on. It came with a fish sauce you're supposed to dip it in. I have to say it was probably the most disappointing dish. I ate the head part but it was a little too dried out for me. The fish is also not seasoned or marinated so it was very bland. I didn't really feel like fish sauce so I dipped some in my soup. 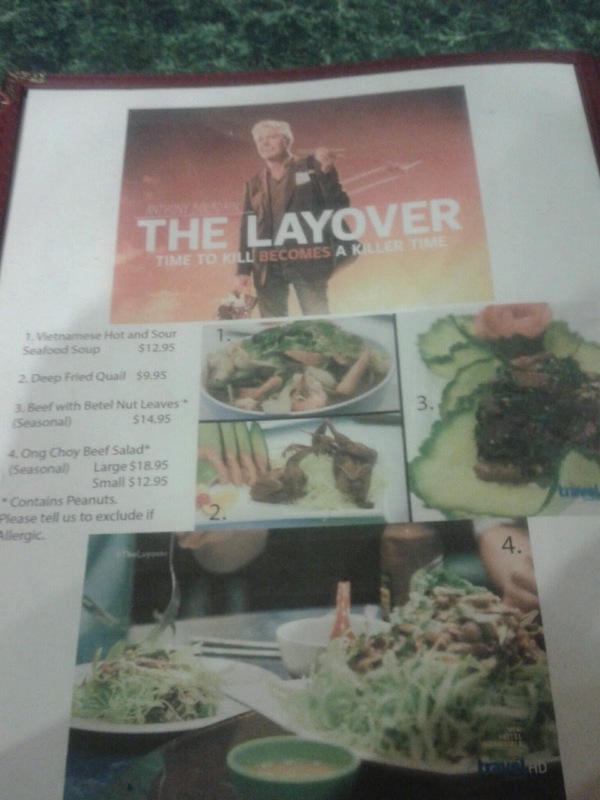 Overall, the place was okay, and we probably have to try some other dishes or go with my aunt who speaks Vietnamese and knows what to order. 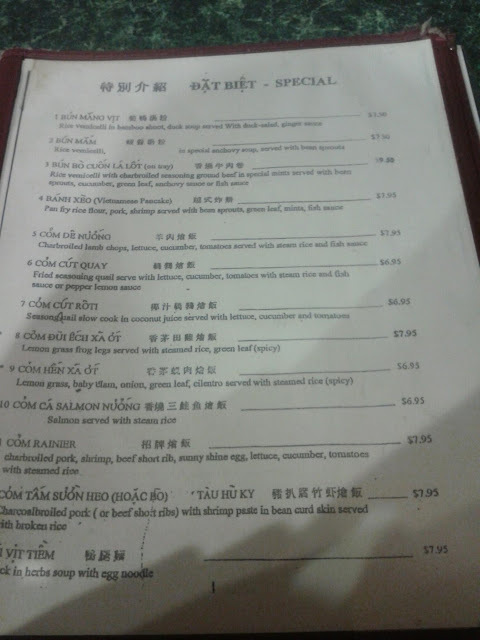 Our price too was a little more than I expected, especially for a Vietnamese restaurant. Including tax and tip our bill for 4 people was $100 and that is usually way more when it comes to this kind of food. 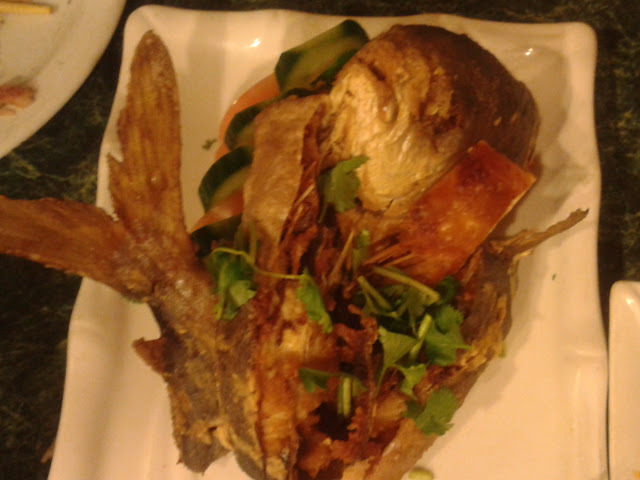 It was the deep fried fish and large Ong Choy Salad ($18.95 each) that put us over the usual cost. I will say that I will go again to try some other dishes, but I'm in no rush to go that soon.